Residential Criteria: Citizens of India, as well as Foreign Nationals, can apply for AMIETE 2019 exam. Qualification: The candidate should have passed the 12th examination or any other equivalent exam with Physics and Mathematics and working experience in the relevant field to satisfy the AMIETE 2019 eligibility criteria. 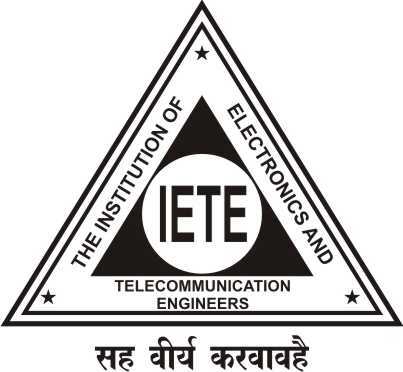 Lateral Entry: The candidate who is studying for higher qualification with Physics/Electrical/Electronics/Computer Science Engineering or Diploma has to pass all their expulsion to fulfill the AMIETE 2019 eligibility criteria. Age limit: Aspirants shall not be less than 16 years of age in order to be eligible for the exam. Candidates who are diploma holders should not be less than 18 years so as to appear for the exam. Enrollment: A candidate is required to enroll himself/herself as a student member before he/she fulfills the eligibility criteria for appearing in AMIETE 2019 examination. Enrollment Fee: The enrollment fee and other conditions for all the candidates who have fulfilled the eligibility criteria are listed in the admission process of AMIETE 2019 examinations. A Student member shall be allowed to appear in the AMIETE 2019 examination only after he/she has enrolled as a Student member of the Institution to fulfil the eligibility criteria. Only those Student members who get enrolled on or before August and February to satisfy the eligibility criteria will be allowed to appear in the next AMIETE Examination, held in December and June respectively. Such membership should be current at the time of submitting the examination application form to cover-up the eligibility criteria. The student membership will be valid for 10 consecutive examinations from the date of enrollment to satisfy the eligibility criteria. The student members not completing their AMIETE Examination are to seek re-enrollment by remitting applicable amount before or immediately after the expiry of the membership period to continue their membership to enable them to appear in the remaining papers and complete the eligibility criteria of AMIETE. Any examination chance not availed by a student due to whatsoever reason will be counted within 10 examinations which set the eligibility criteria. Aspirants shall not be less than 16 years of age in order to be eligible for the exam. Candidates who are diploma holders should not be less than 18 years so as to appear for the exam. Citizens of India, as well as Foreign Nationals, can apply for AMIETE exam. The candidate should have passed the 12th examination or any other equivalent exam with Physics and Mathematics and working experience in the relevant field to satisfy the eligibility criteria. The enrollment fee and other conditions for all the candidates who have fulfilled the eligibility criteria are listed in the admission process of AMIETE examinations. The candidate who is studying for higher qualification with Physics/Electrical/Electronics/Computer Science Engineering or Diploma has to pass all their examinations to be eligible to write the entrance exam.